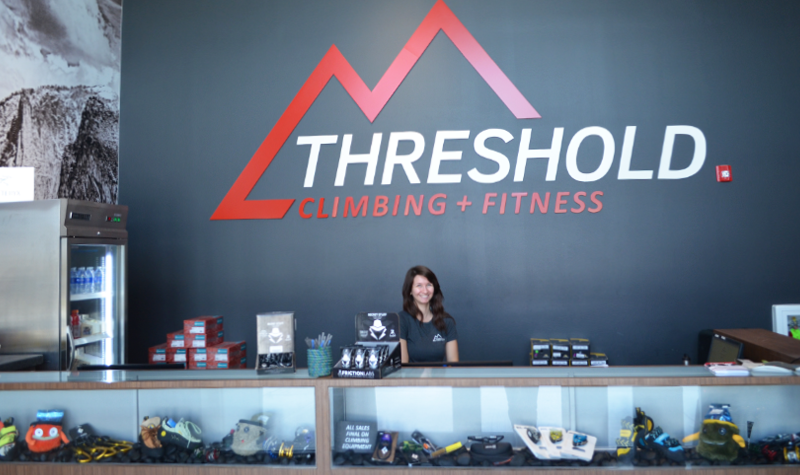 Threshold Climbing, Fitness + Yoga is a world-class indoor climbing facility dedicated to providing its community with the education and experience of climbing, one of the world’s fastest growing and most rewarding sports. Looking to mix up your regular gym routine? Hoping to find something fun and exciting for the whole family?Climbing is a full-body exercise that gets you in shape without the boredom and burnout of a traditional gym. First things first! Climbing is a ton of fun and can be a healthy and rewarding sport! However, with anything this fun it is important to recognize that climbing is dangerous and your safety and the safety of others depends entirely on your ability to follow the rules. It is required that anyone 18 years or older must sign their own waiver. If you are under the age of 18 years old then only a parent/legal guardian is allowed to sign your waiver. Before entering the climbing area EVERYONE MUST HAVE A WAIVER SIGNED, EVEN IF YOU ARE JUST WATCHING. 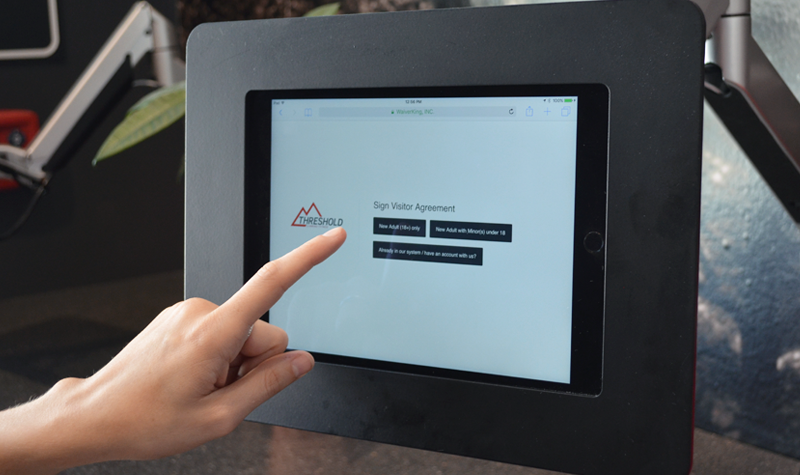 After signing your waiver(s) visit with our staff at the front desk. Let us know what you would like to do in the gym today. Not sure what you want to do? Don’t worry! Most of our guests attend Orientation before deciding how they would like to access the gym. Get the grand tour of Threshold! One of our staff members will walk the facility with you and point out all our wonderful amenities. 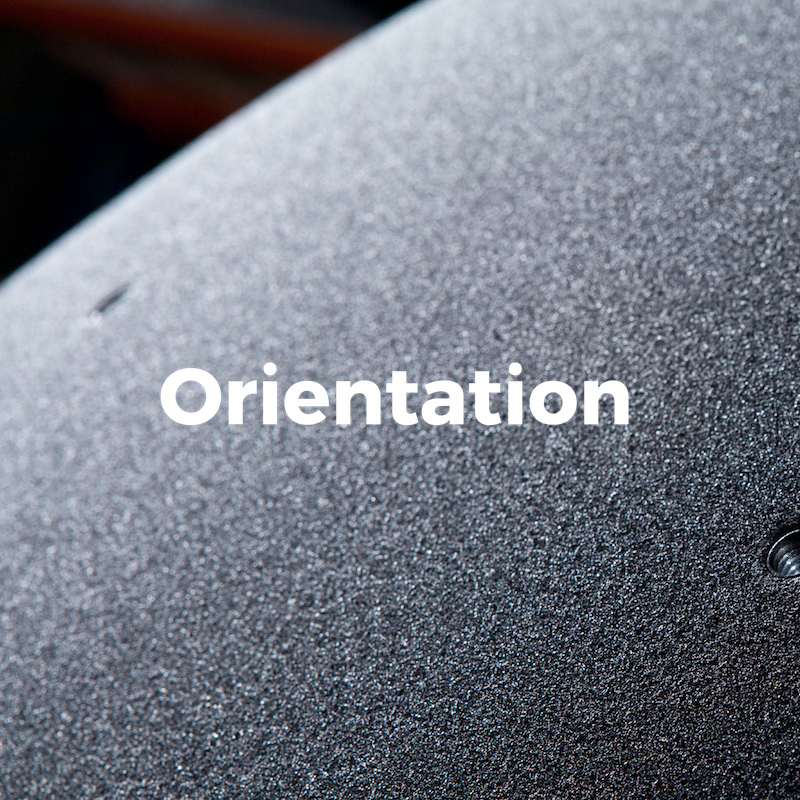 Orientation lasts about 10 minutes and explains the gym rules, teaches you how to take a fall while bouldering and explains our proficiency test requirements for accessing the tall climbing areas. After Orientation you’re ready to go! You will have access to all bouldering areas, yoga room and fitness room. In order to access the tall walls you will first need to pass a proficiency test for Auto-Belays, Top Ropes and/or Lead Climbs. Worried about taking Proficiency Tests? Don’t worry! We have all the climbing classes that will allow you to succeed!